Brewing Brew three of four minutes at 80°C. Second infusion is usually possible. 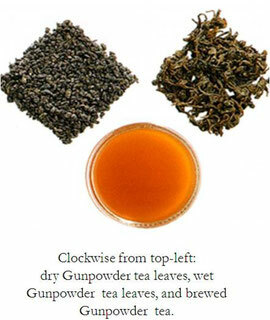 Gunpowder is one of the most famous names in tea. 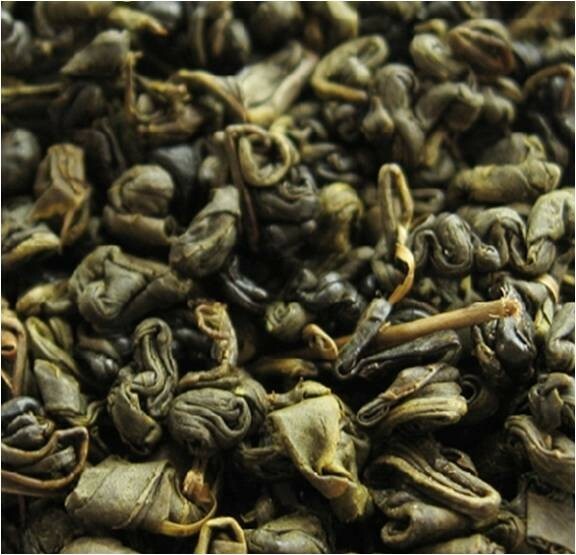 This quality China green tea, from Zhejiang Province, is rolled into tight pellets. 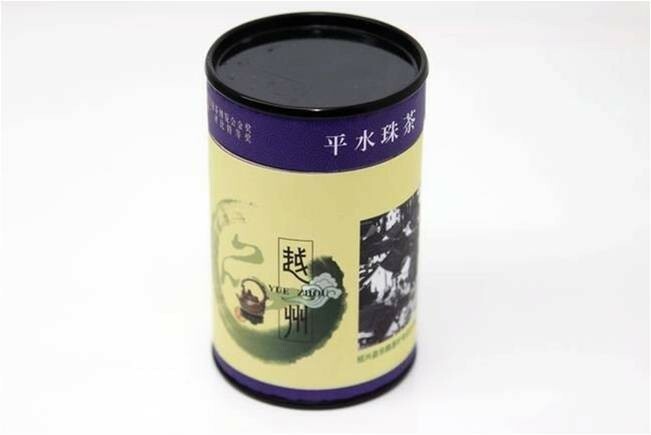 The pellets are a black-green colour and resemble lead shot – or, it seems, gunpowder, which is how this robust, invigorating and delicious tea got its name. One advantage of Gunpowder tea is that being so tightly rolled it keeps very well, and is also economical – 2 tsp is enough for a whole pot. The pellets almost explode in the water as the leaves expand and unroll. 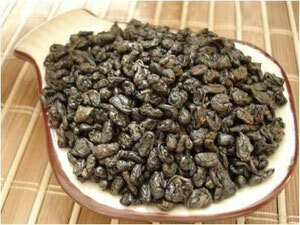 The tea produces a dry, rather dark green liquor with quite a strong flavour that is often described as nutty or oaked. It is often fairly bitter. This can be refreshing, but the flavour is brought out and improved by adding a very small amount of sugar. Gunpowder Tea was one of the first teas exported out of China in the 17th Century and is currently exported to more than 40 countries. One of the largest importers of Gunpowder Tea is Morocco which reportedly imported more than $56 million worth of this tea in the first half of 2006. 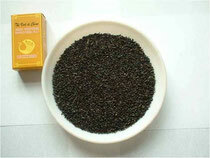 Gunpowder tea has been the foundation of North African Touareg tea since the 18th Century. Step 1：Gather ingredients. For making easy and healthy iced green tea. You will need a 1.5 Liter bottle of mineral water, but tap water also works. You will also need some Chinese Gunpowder Green Tea. Step 2：Combine ingredients. 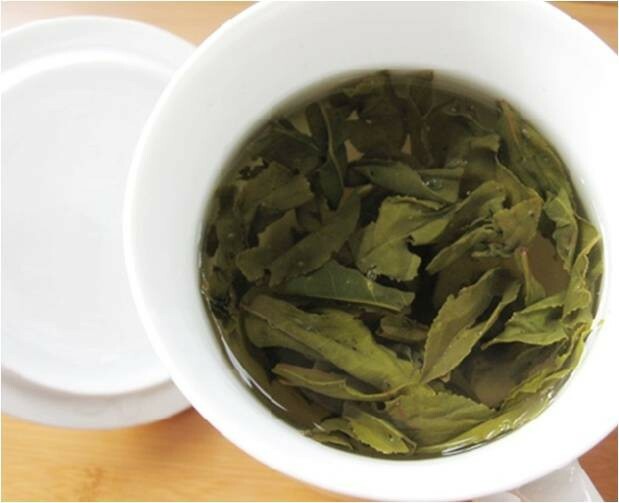 Pour about half an inch of water out of the bottle and add 1.5-2 tablespoons of the green tea leaves. Replace the cap on the bottle. Step 3：Shake. This is the fun part. Using a circular motion, shake the bottle for 20-30 seconds. Make sure all the tea leaves have gotten wet but don’t shake too much or else you will have too many tea particles in your tea. Step 4：Wait. Because we are not boiling the water, we need to wait a few hours for your healthy and delicious iced green tea to brew. If you are in a warm area, you can leave the tea outside in the sun. Otherwise just let it sit inside at room temperature. Once the tea is nice and green, you may add any other sweeteners or flavors (sugar, honey, ginger, etc) to taste and refrigerate until cold. Step 5：Serve and enjoy! When pouring your iced green tea into a glass, use a fork or strainer to remove tea leaf particles. 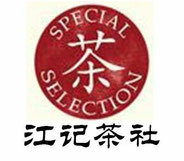 Tips & Warnings：Make sure your tea is good quality and fresh when starting. If the tea leaf pellets are tightly packed and shiny, you know you are on the right track.Don't drink too of this much healthy iced green tea or you might get addicted! Since gunpowder tea is classified as a green tea, it shares all of the health-supporting antioxidant properties that are specific to green tea. 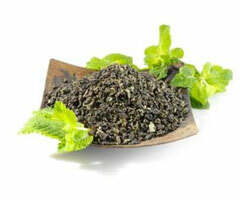 The antioxidants embodied in green tea, especially EGCG (epigallocatechin-3-gallate) are especially beneficial.. Unchecked free radicals contribute to the development of many different types of ailments, such as cancer, and can even cause damage to the very structure of DNA. 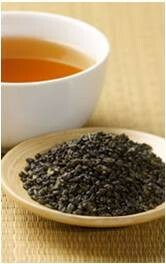 Gunpowder tea is good for your teeth, Chinese researchers have discovered! In fact, 3 cups of Gunpowder tea supplies an adult’s daily fluoride requirement. 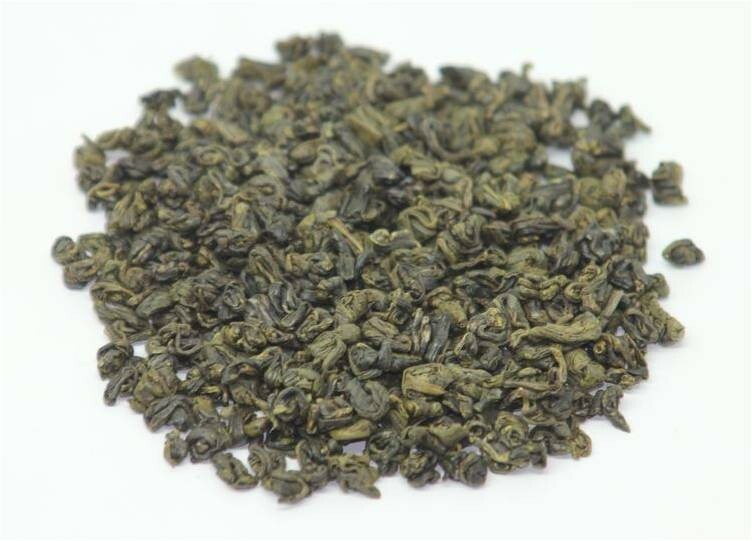 gunpowder tea is often drunk by people who are experiencing problems with their digestive tract, since the gunpowder tea may smooth out any difficulties.